The begging talibés are young boys who are sent by their families to learn the Quran with a marabout. 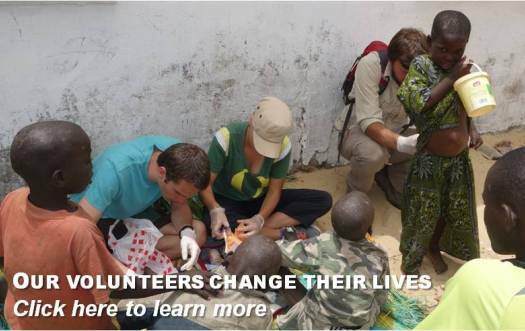 As young as 4 years old, they typically come from very poor families in Senegal or neighbouring countries. Although in theory the children are meant to receive a basic education and learn the Quran, in fact they are most often found in the streets of Senegalese cities where they beg for their food and a little money. Thus, these children are excluded from the government education system and must bring themselves up, far from their families whom they seldom if ever see. Without education or family support, the talibés are easily victimized by unscrupulous people and are exposed to serious health problems. Marabouts occupy a very important place in Senegalese society, and the traditions surrounding the talibé children are not easy to change. In fact, any effective moves towards change can only work through collaboration with the marabouts and the local Senegalese people. Having good relationships with religious leaders facilitates our work and makes it possible for us to better help the talibés. As a traditional religious center in Senegal, Saint Louis has become a major focus for the talibé problem. It is estimated that there are over 7,000 talibé children begging in the streets of Saint Louis. In addressing this, Maison de la Gare works closely with government agencies and other non governmental organizations, and has also developed an extensive international support network (see our partners). 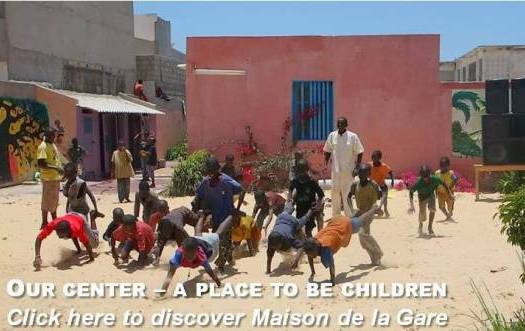 Maison de la Gare strives to help the talibés to become educated and responsible adults, who can build their own lives and become contributors to Senegal's development. Because every child has the right to an education, emotional support and the carefree life of childhood, Maison de la Gare works to return these rights to the talibé children. The word "marabout" represents a Quranic teacher, a person who teaches the Quran to the talibés or students. Typically, each marabout has a Quranic school (a daara) which brings together children of very different ages and aptitudes in the same class. Traditionally, the marabout is the sole person who can guide a talibé student in their study of the holy Quran. The apprenticeship period typically lasts for up to five years, although for the begging talibés it can be much longer. Today, most Senegalese marabouts have modernized their daaras and teaching methods, but this is not true for most of the marabouts of the begging talibés. 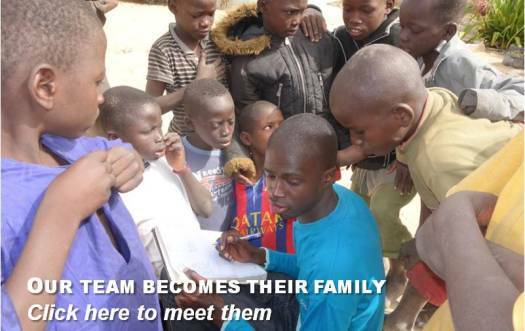 Maison de la Gare strives to establish strong relationships with both the marabouts and the children, working collaboratively to improve the children's lives.